Anime Apparel Shop - Anime Orlando Inc.
buttons, accessories and much more! Central Florida’s Absolute Best Anime Store, please pay us a visit when you are in town! 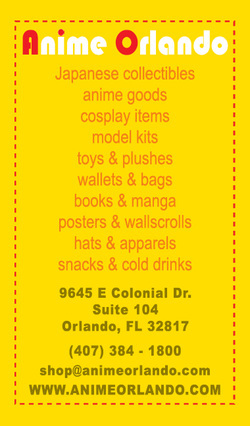 Anime Apparel and Anime Orlando has now merged into one shop!